Rental Registration #: 18-1464 This beautiful waterfront home has a gorgeous living room with fireplace and huge bluestone deck overlooking Three Mile Harbor. Chef's kitchen comes with all of the best amenities. The master bedroom is located on the main floor and opens onto the large outdoor terrace. The first floor is completed with a separate study with large screen TV and a powder room. Upstairs there are 2 bedrooms, one ensuite and one sharing a bathroom with an office space--all with spectacular views. The lower level features a laundry room, media/living room, bedroom, full bathroom, and kitchenette. Stunning sunset and private harbor beach. 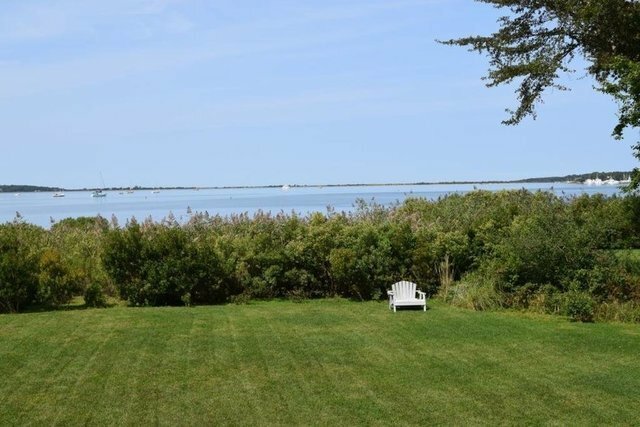 A perfect spot for your Hamptons holiday! Updated for 2019. Folio #: 41662..